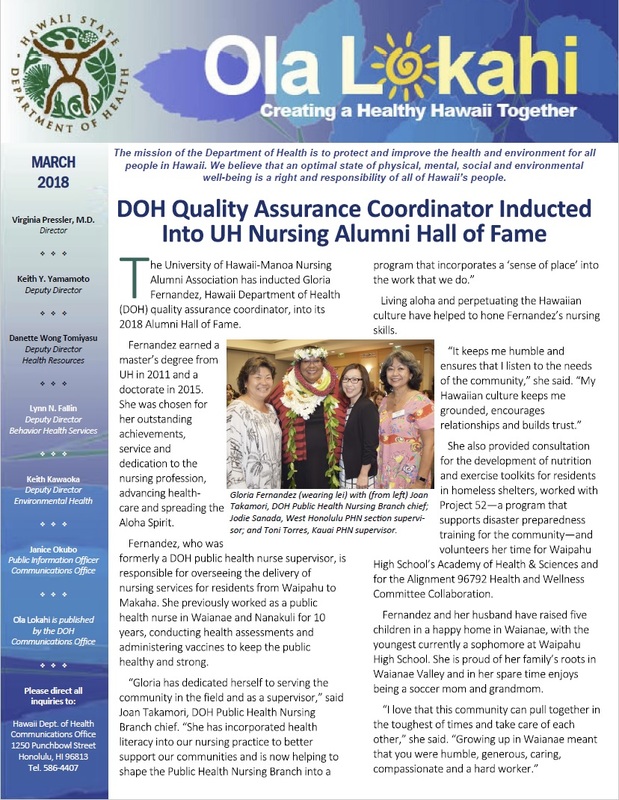 The University of Hawaii-Manoa Nursing Alumni Association has inducted Gloria Fernandez, Hawaii Department of Health (DOH) quality assurance coordinator, into its 2018 Alumni Hall of Fame. Open the attached newsletter pdf to read more. More than 400 individuals with developmental disabilities, their family members, and service providers from all islands participated in the 19th annual Day at the Capitol on March 15, 2018. Open the attached newsletter pdf to read more.